The Grizzlies did something they have not done for 1,759 games: win without registering a strikeout. On May 2, Shane Loux, Jake Dunning, and Dan Runzler threw nine innings but did not fan one Sacramento River Cats batter. It did not matter, though, because the trio of hurlers limited Sacramento to five runs – while the Fresno offense supported them with 11 runs. Prior to this past week, the last time the Grizzlies won a game without striking out a batter was August 21, 2000 at Tucson. Ryan Jensen (7.1 IP) and Jason Davis (1.2 IP) threw in the game. The Grizzlies have played in a game in which their pitchers did not record a strikeout, though, before the 2000 season. The last time that happened was June 16, 2004, also against Sacramento. The Grizzlies had three games during the 2004 season in which their pitchers did not strike out any of their opponents. Brett Pill had a hitting streak reach a baker’s dozen. His 13-game hitting streak ended on May 3, but it still matched Roger Kieschnick for the longest hitting streak by a Grizzlies batter this season. Pill had 23 hits over the 13-game stretch. It fell one game short of tying his career-high hitting streak of 14 games set twice (Last: July 29-August 11, 2010 with Fresno). Michael Kickham tossed 7 1/3 scoreless innings on May 3 vs. Colorado Springs, which was the longest outing so far by a Fresno pitcher this season. It was Kickham’s longest outing since July 12, 2012 with Richmond. It was the most shutout innings thrown by a Fresno pitcher since another left-hander turned in a complete game shutout on June 21, 2011 vs. Salt Lake: Giants pitcher Barry Zito. Ok, Zito was on MLB Rehab assignment. He was an established Major League pitcher (read: Cy Young winner), so pitching against Triple-A hitters was a step below from he sees every fifth day currently in his career. So the last non-MLB-Rehab-assignment Grizzlies pitcher to throw more than 7 1/3 innings of shutout baseball before Kickham? 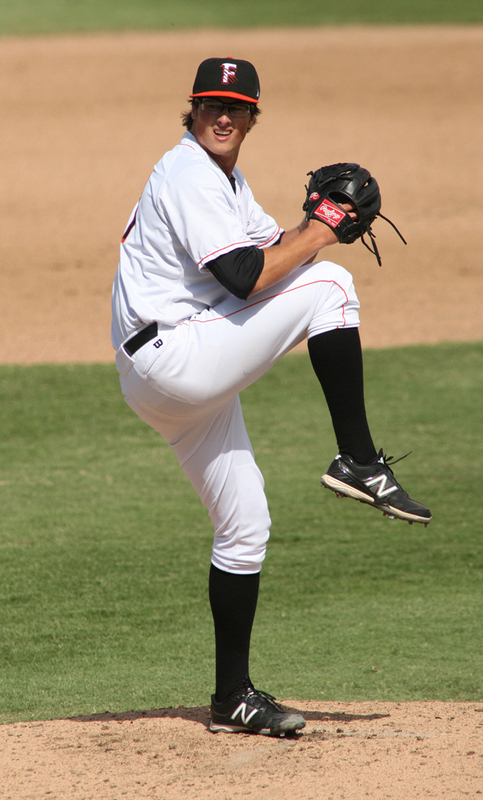 Another left-hander familiar to Grizzlies and Giants fans: Madison Bumgarner, on May 28, 2010 vs. Salt Lake. Carter Jurica delivered a walk-off single in the bottom of the 11th inning to give the Grizzlies’ their first walk-off win of the season as they beat the Sacramento River Cats 8-7 on April 29. The Grizzlies had 9 walk-off wins in 2012. Are Your Students Wild About Reading? How do you get your students Wild About Reading? Parker can show you how reading and fun can go hand in hand. Parker danced and celebrated with the students and faculty at the Easterby Elementary assembl y recently for their outstanding reading achievements! The students won two laptops for their school’s library through the Grizzlies Community Fund’s Wild About Reading program. 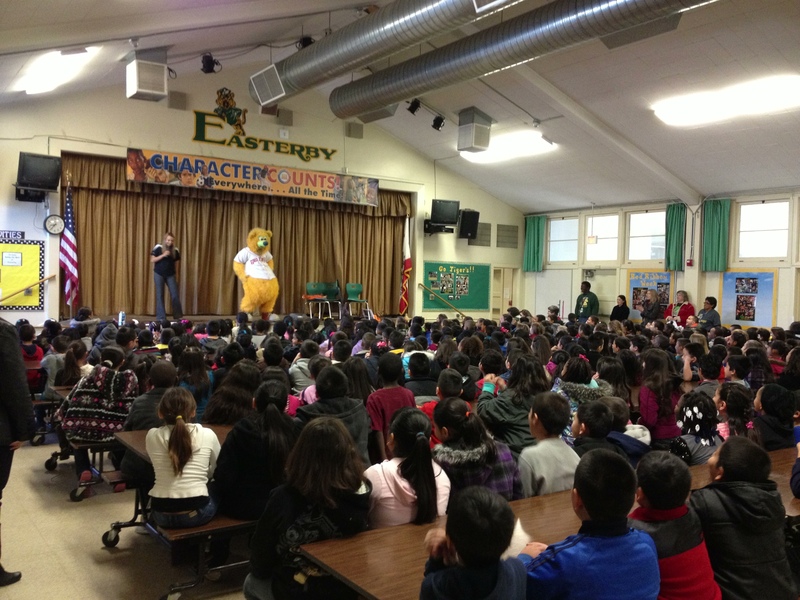 Easterby won the laptops by having the highest attendance of all Wild About Reading schools at their assigned game during the 2012 Grizzlies season. Easterby students partied the morning away with Parker and even got to see their teachers boogie on stage as well! The Wild About Reading Program is a fantastic way to get students thrilled about reading and the chance to cheer on our very own Fresno Grizzlies! Each student enrolled in the program is challenged to read 10 books over five weeks. If a student reaches the goal, then he or she receives two free tickets to a Grizzlies game. We are still accepting schools, however, for 2013. If you are interested, please call the Community Fund at (559) 320-2547. “After the assembly there was an explosion of excitement that not just challenged the kids to read above and beyond what they were normally doing but got them more excited to read different books,” Easterby Elementary Library Tech Kelly Mitchinson said. After going winless through his first three starts, Petit picked up his first win of the winter season on December 5th against Leones del Caracas. Petit may have walked four batters in the winning decision, but he was beyond effective, as he did not allow a run over eight innings. The right-hander did not pitch more than seven innings in all of the 2012 regular season. Also of note (but probably lacks any meaning), in Petit’s last 12 starts, which date back to July 29th with the Grizzlies, he has recorded a decision in 11 of the games. In his first 21 starts in 2012, he only had six decisions. Machi’s sole appearance last week came on December 4th. His final pitching line looks good (2/3 innings pitched, no runs, one hit), but the devil is in the details. Machi entered the eighth inning with runners on first and third base and one out. He forced a groundout to the first batter he faced, but it allowed one run to score. The next batter singled to score another run, making the score 3-0 (which eventually turned out to be the final score). Since none of the runners were charged to Machi, the 2/3 scoreless innings did lower Machi’s ERA slightly from 7.71 to 7.20. Over three games last week, Peguero went hitless in 10 plate appearances (nine at-bats) with five strikeouts. Peguero has struck out at least once in seven consecutive games (13 total strikeouts) and is batting .083 (2-for-24) over the same stretch. Peguero has continued to play center field in each of his 16 games with Cibao. With the Grizzlies in 2012, Peguero played in 27 games as a center fielder (77 games a right fielder). Full disclosure: Williams slipped through the cracks in our previous Winter League updates. Williams, a catcher for the Grizzlies in each of the last three seasons, is playing for Leones del Escogido. He made his first appearance with Escogido on November 17th. After batting .179 through his first seven games, Williams is hitting .500 (6-for-12) with four runs scored and two RBIs in his last five contests. Despite a good overall record, the defending World Champions have had a rough start to the 2011 season. They have lost key players to injuries, several of which have come through Fresno on rehab stints before returning to the Majors. After losing 30 pounds and finding his swing again in the off-season, the last place Pablo Sandoval thought he would end up would be on the disabled list. Just a month into the season, Sandoval fractured his right hand sliding into second base in a game against the Pittsburgh Pirates, and later received surgery to repair the broken bone. Sandoval used his recovery time wisely; working out constantly, and even took ground balls with his left hand. Signing with the Giants in 2003, Sandoval quickly rose through the various levels within the organization. The Giants promoted him straight to the Majors from Double-A Connecticut, bypassing Triple-A Fresno completely. The infielder made his Major League debut with the Giants in 2008 after splitting time between High-A San Jose and Double-A Connecticut. Sandoval became an instant fan favorite, batting .345 in 2008 and quickly emerged as a key hitter in the lineup. He received his quirky nickname, Kung Fu Panda, from pitcher Barry Zito, on September 19th, 2008, when he jumped over a tag from catcher Danny Ardoin, against the Los Angeles Dodgers. Sandoval continued to dominate in 2009, batting .330 with 25 home runs, but fell off to just .268 with 13 home runs in 2010. In order to return to his earlier form, Sandoval took advantage of the 2010 off-season, losing 30 pounds over a three-month span. Before breaking his hand, Sandoval was batting .313, and led the team with five home runs in 24 games. 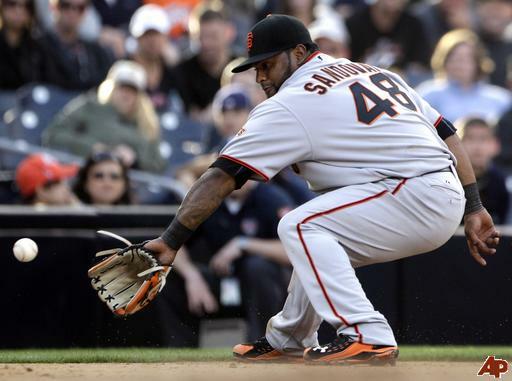 Now, Sandoval is finding his way back to San Francisco after being gone for five weeks. He is scheduled to start his rehab with San Jose before heading to Fresno for the first time in his major league career sometime this weekend. According to various Bay Area reporters the Giants would like him to play in at least five games before returning to San Francisco. 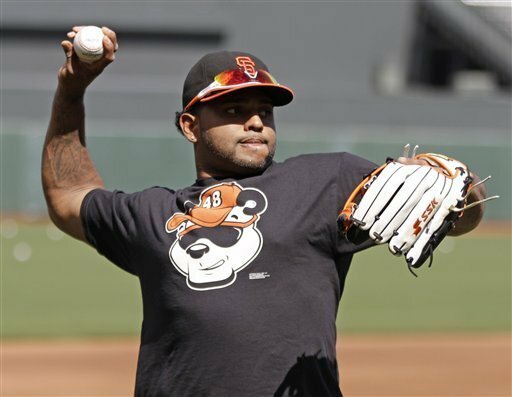 With this being Sandoval’s first time in Fresno, the community is already buzzing about the famous Kung Fu Panda’s debut at Chukchansi Park. To catch a glimpse of the Panda in action, be sure to get your tickets before they’re all gone. And don’t forget to pick up a fuzzy panda hat— you wouldn’t want to miss out on all the fun!